In the political fervor of the days leading up to Nov. 6, the term “civic duty” took its place in the transient spotlight of the public consciousness. 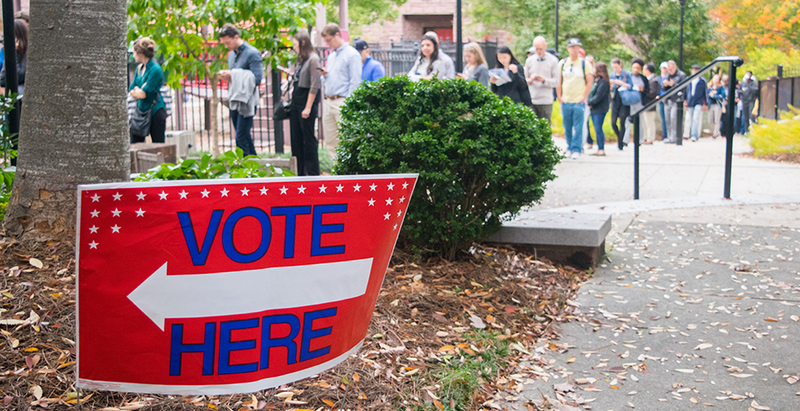 The phrase is universally understood as a reference to voting; most of America’s civic engagement occurs in an election booth once every few years. While self-righteous flaunting of stickers and Facebook profile frames seems to represent a population heavily involved in the political process, the current excitement around government will fade before new representatives even take their seats. The gears of our political process are always turning, however. Many Americans act as though casting a vote is the most they can do to affect the course of their community and the nation as a whole. In a healthy democracy, however, the general public takes on role that is arguably more important than the vote they cast in November. First, they can take action on the issues that drove them to cast a ballot in the first place. Voters ideally choose a candidate based on a variety of issues, and those issues will persist despite the election. If someone wants to see change, there are almost certainly organizations dedicated to serving their interests that are in dire need of monetary donations and volunteers. There is definitely a big difference between casting a vote and spending time or money on activism. Fortunately, there is an even larger middle ground that is accessible to everyone. Instead of simply voting, civic duty should refer to informed voting. A politically engaged populace follows the actions of their representatives and ensures that they live up to their title. Contacting representatives leads to a response at the least and a tangible change at most. Skeptics may argue that reps are more beholden to special interests than their constituents, but the razor-thin margins of the most recent elections have emphasized the fact that every vote counts. If enough people express a desire for action, change can happen at any time. Voices are heard far beyond election day if people are passionate enough to speak up. Even though the political landscape may not directly affect everyone, it still affects their classmates, colleagues and neighbors. They may not give out stickers for reading up on the latest bill to go through Congress, but maintaining a working knowledge of politics is the best way for an individual to support a healthy democracy. To be apathetic after election day is to shirk your civic duty.